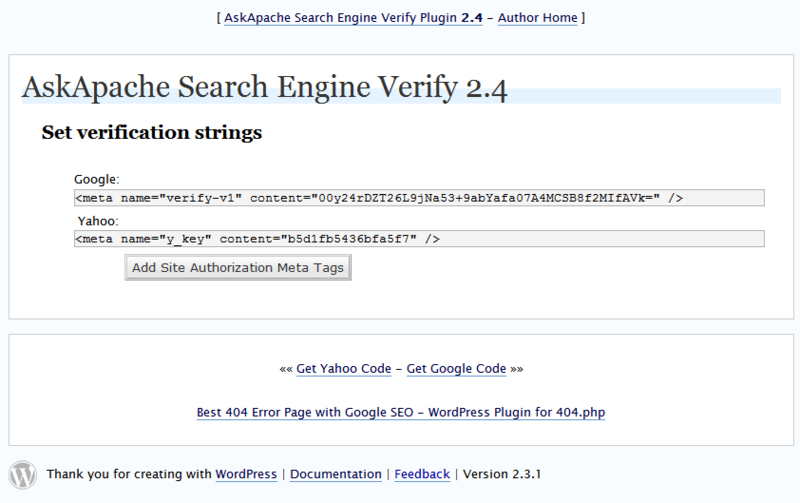 I just updated the AskApache Search Engine Verify Plugin for WordPress. It now works for WordPress blog version 2.3.1, and probably any other version as well since it is one of the worlds simplest plugins. Short and Sweet, won't slow down your blog at all. The update download and more info is on the original plugin post.